Camping is FREE and in designated areas only. 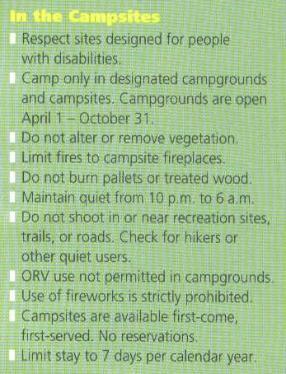 Please see read the rules and look at the map for campgrounds. A Discover Pass is required on all DNR and State Recreation lands.